Interested in trying your hand at archery? Rugby Bowmen offer beginners courses regularly from April to September for anyone aged 12 years or over. The course comprises of 3 sessions, held on consecutive Sundays. Use of all equipment is absolutely free. All sessions will be held at Harris Sports Centre, Mellish Road. Other than knowing your left from right there is absolutely no experience required. We also offer equipment maintenance days for those who would like to learn to fletch an arrow or even make a string. 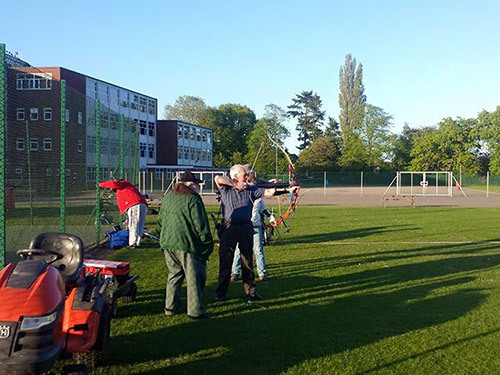 Unless you are an experienced archer, going through our beginners course is the only way to become a shooting member.